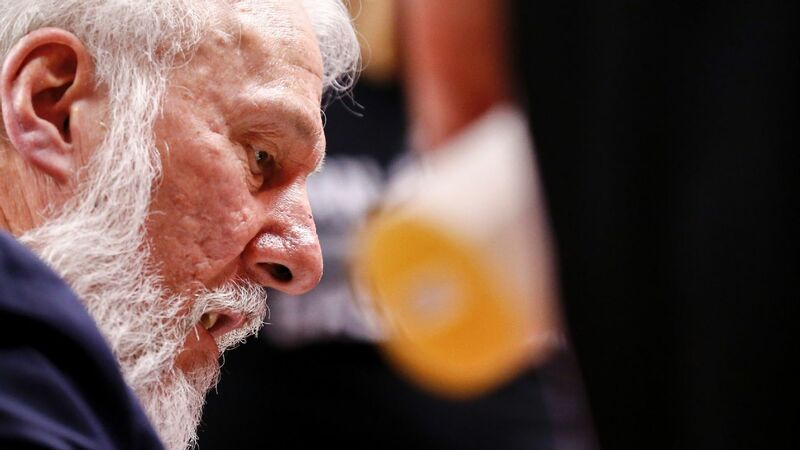 SAN ANTONIO -- Gregg Popovich will not coach the San Antonio Spurs on Sunday for Game 4 of their first-round playoff series with the Golden State Warriors, the team announced. Popovich also did not coach Game 3 on Thursday after his wife, Erin, died Wednesday. A source told ESPN that the Spurs haven't even addressed internally when Popovich might return. Just as he did in Game 3, Ettore Messina will fill in for Popovich for Game 4. The Spurs trail the Warriors 3-0 in the best-of-seven series. "I think, of course, that it's a tough situation," Messina said Saturday. "But the first thing is to free our minds and realize that if you watch the [video] of the last game, we had more points in the paint. We had more free throws. We won the boards. "Against a fantastic team like they are, we know what we're playing against. Doing everything a little bit better will be, of course, the key. I think the team is ready to play and compete. You can't get frustrated. You've got to get back on the court and try to prove everybody wrong." Erin Popovich died early Wednesday at the age of 67. She had been battling an illness for an extended period. The couple was married for four decades and had two children -- Jill and Mickey -- as well as two grandchildren. "Just got to go get it; leave it all out there, follow the game plan," LaMarcus Aldridge said Saturday. "Just try to do things better. You've got to go out there like it's your last game, and it could possibly be if we don't do it right. We have to bring that confidence and mentality to go do it." After Game 3, many Spurs players said it was tough to maintain focus against the Warriors. "A very unique situation. 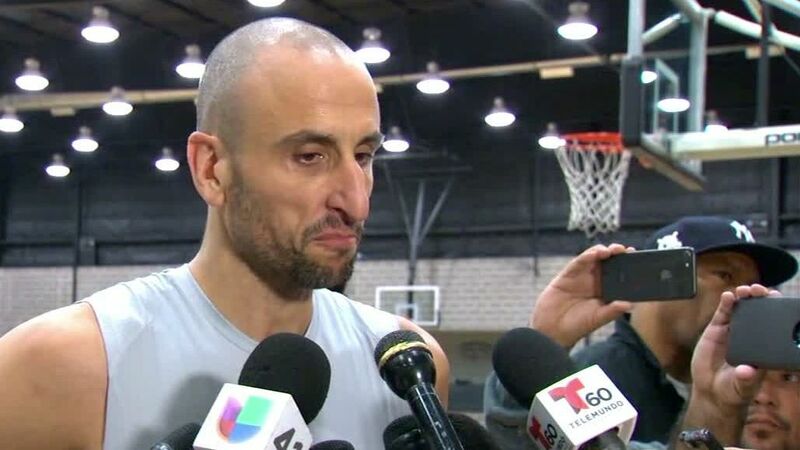 I've never been through something like this," Manu Ginobili said Saturday. "How important Pop is, not only for us players, the whole organization, the whole NBA, and seeing or feeling the way he should be feeling at this point, it hurts. We are struggling a little bit. Hopefully after this two and a half days, we're going to be in a better situation emotionally, and hopefully it fuels us." Said Aldridge: "Guys are trying to keep their heads, and just trying to find a way. I feel like every guy wants to be better, and we will be." After Game 3,Danny Greenacknowledged that there was "a big difference" having Messina coaching the team instead of Popovich. However, Green knows that if the Spurs don't win Sunday, the season will be over. "Obviously, it's desperation time," Green said. "So going in, we'll have a positive attitude, knowing what we're capable of and trying to execute it as best we can." ESPN's Michael C. Wright contributed to this report. Manu Ginobili says the team is coming around, but as Gregg Popovich grieves his wife's death, the team is affected as well. Manu Ginobili and Tony Parker express the devastation the Spurs family is feeling after the wife of Gregg Popovich died.